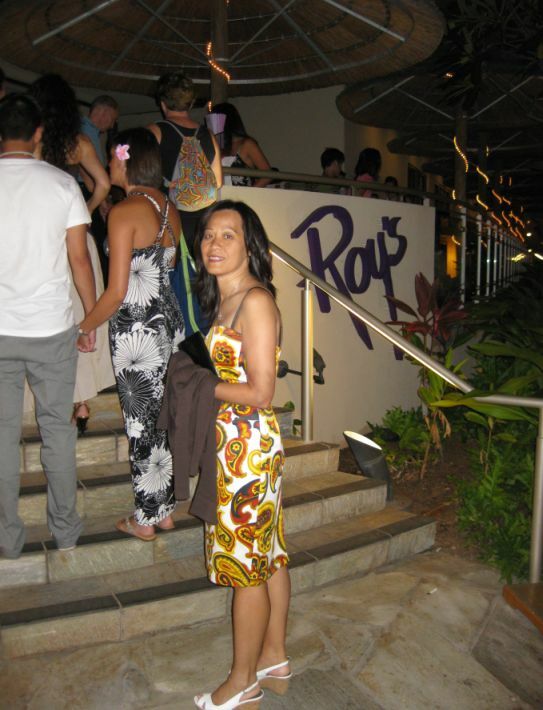 If you ask people in Hawaii to recommend a fine dinning restaurant you will get the same response: "go to Roy's". 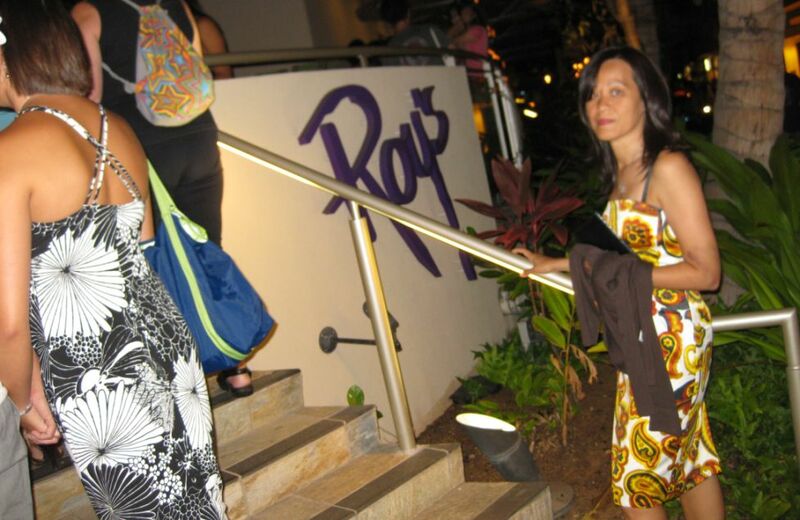 Roy's is a Hawaiian fusion cuisine, true to its Euro-Asian roots and Roy's winning formula: open kitchen, fresh ingredients, ethnic touches, and a good dose of nostalgia mingled with European techniques. 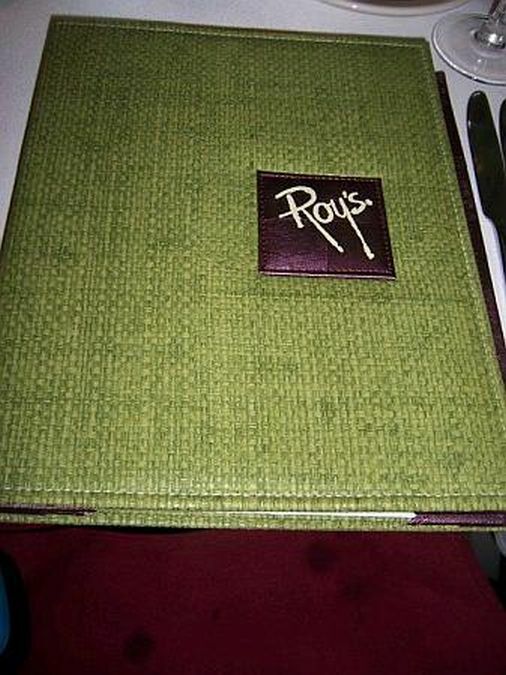 Roy's is known as the "Wolfgang Puck of the Pacific". 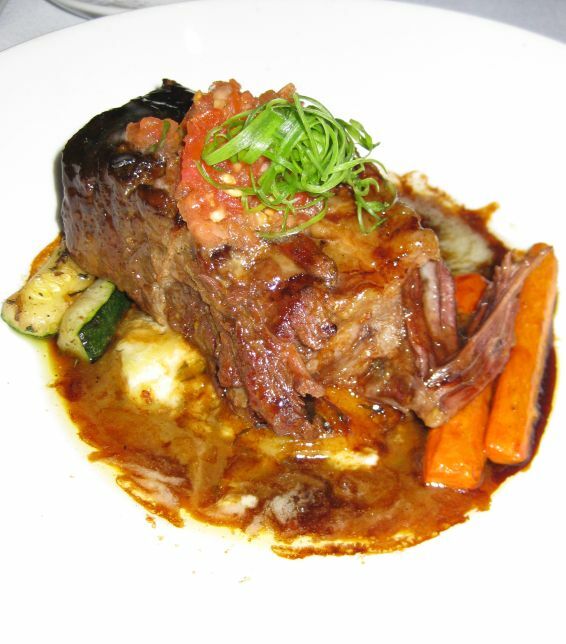 Roy Yamaguchi is known as one of the originators of Hawaiian fusion cuisine. 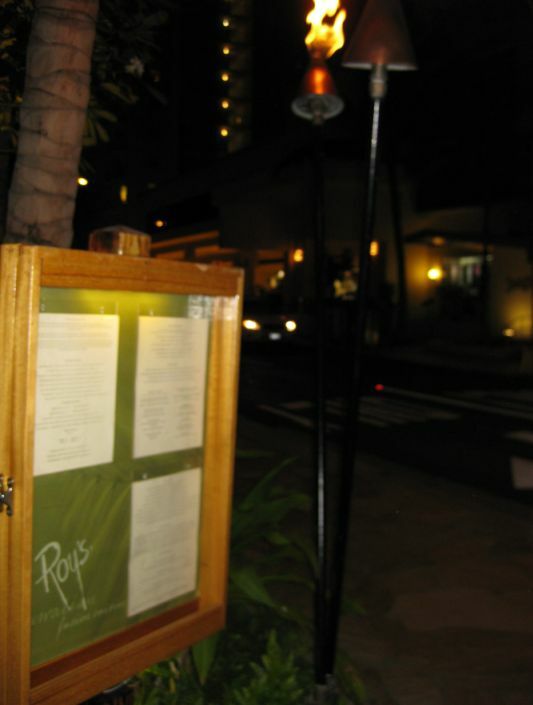 Roy's is lit up at night with tiki torches outside. The bar is right there and it is a fun place to be. 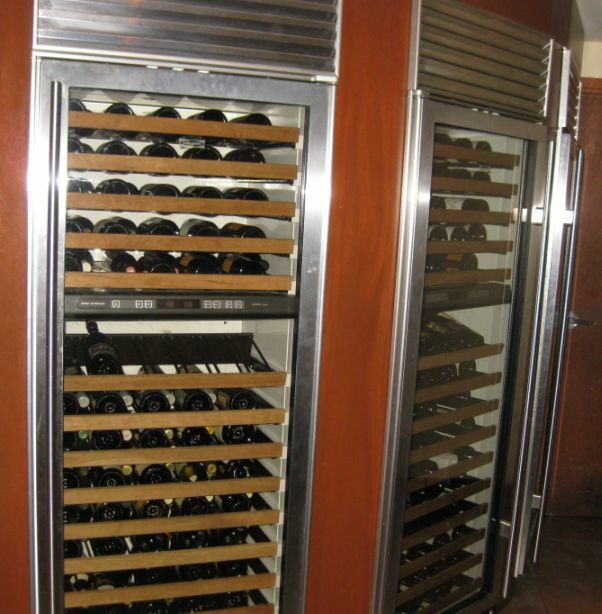 Sushi bar and open kitchen concept. This place is very popular and it can get loud sometimes. 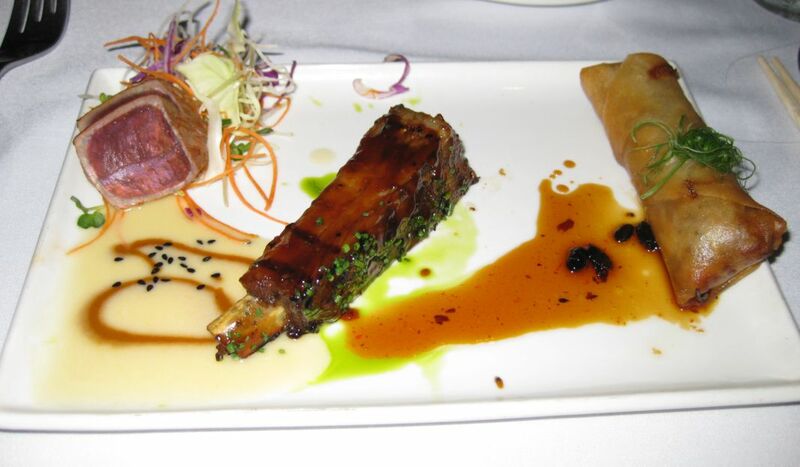 Seared tuna , ribs and spring roll. 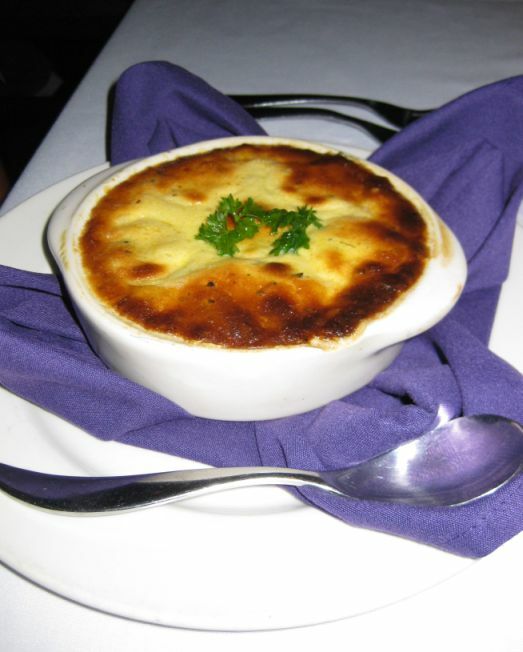 Kevin ordered escargots and to me the dish did not look that appetizing! Kevin said the dish was just okay! He prefers the French version. 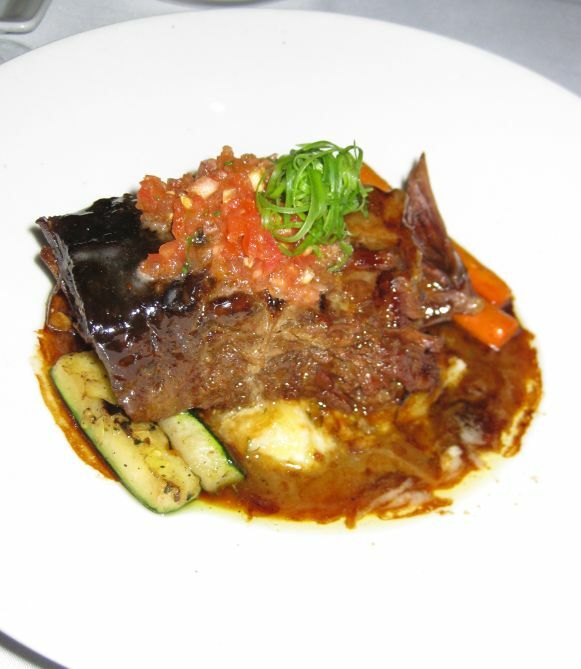 I ordered the tender beef short ribs with creamy mashed potatoes, grilled vegetables on natural braising juice. 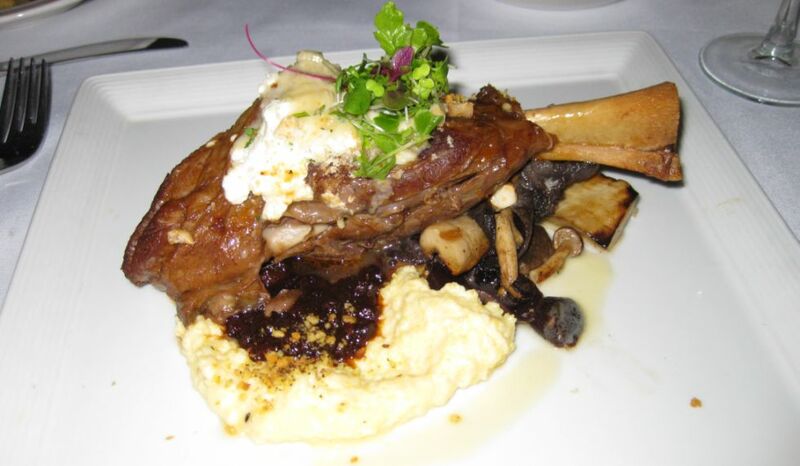 Hoa got the lamb shank- Portion is very large. 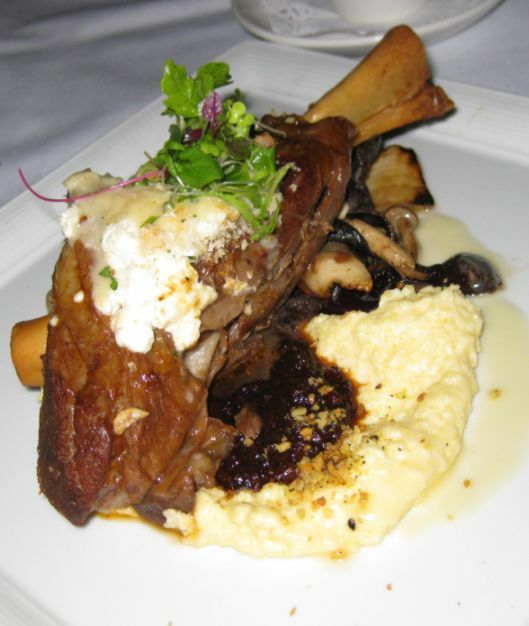 Lamb shank with creamy mashed potatoes and wine sauce. 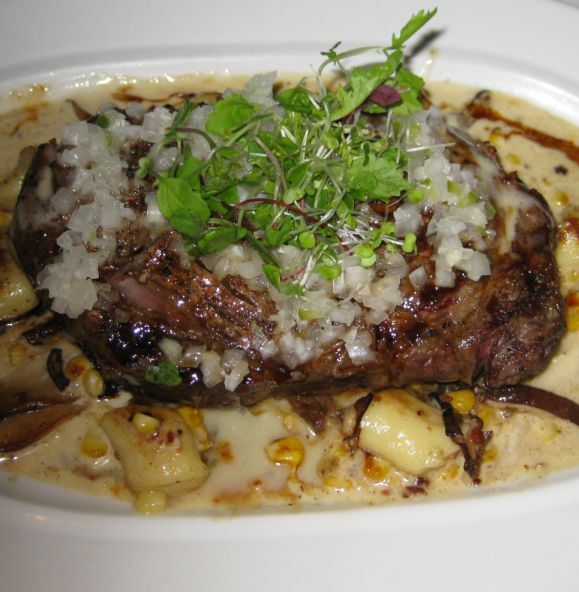 Kevin ordered the rib-eye with creamy served with tossed with gnocchi. Kevin thought the meat was very good but they kill it by flooding it with the sauce. 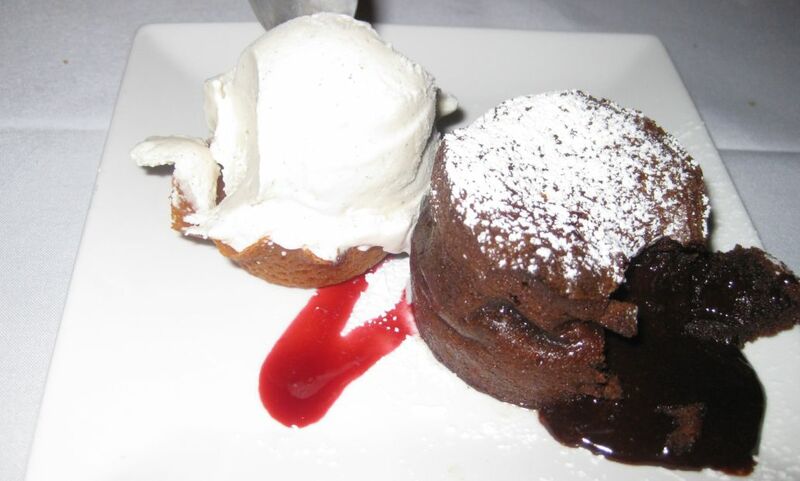 Chocolate soufflé with ice cream. 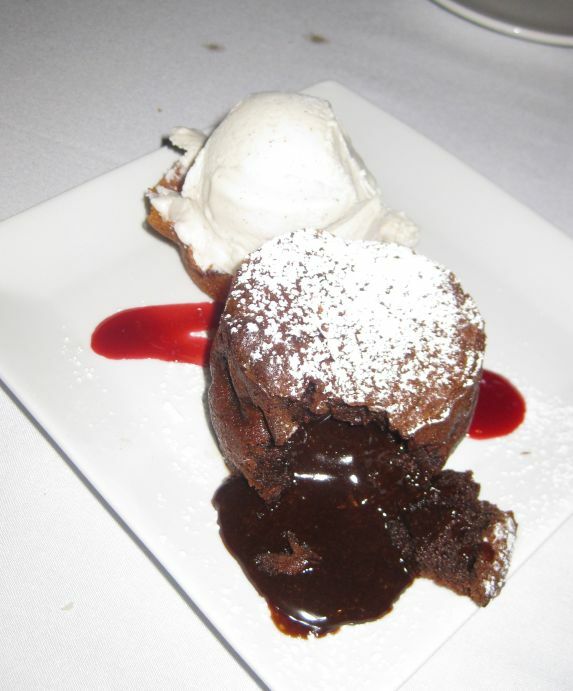 the dessert was probably the best dish of the evening. 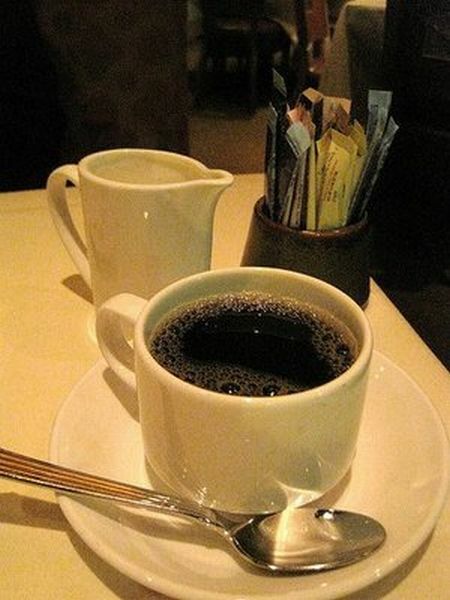 We ended the meal with a hot cut of coffee. Talking about big disappointment! I am not sure why so people like this place! To us, Roy is not even close to our expectation. 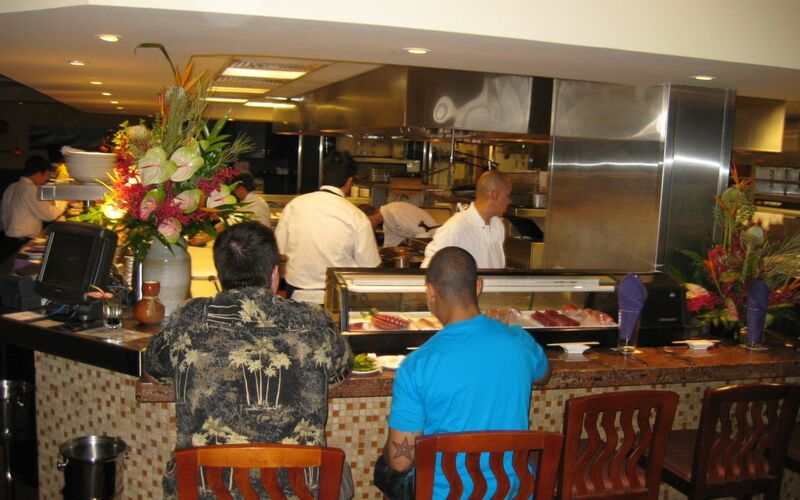 Perhaps the dishes we choose was not what Roy is all about, could their fish be better than their meat? I don't know but I am not coming back! 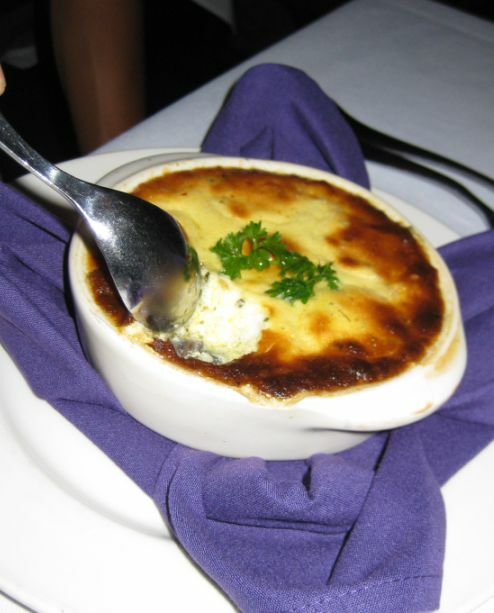 There is only one good thing to say about Roy's is that we got very good service.